The 2018 Community Shield pits last season’s record book bothering Premier League champions Manchester City against FA Cup holders Chelsea, who will be making their first competitive outing under new manager Maurizio Sarri. Read on for the key Chelsea v Man City odds and our betting tips and predictions for the encounter. Pep Guardiola’s side are slight 12/5 favourites for victory in normal time, with their west London foes available at 27/10 and the draw priced up at odds of 13/5. The Citizens are therefore 8/15 to lift the trophy, while the Stamford Bridge side are 11/8 to win a bauble that has gone the way of the FA Cup winners in each of the last four seasons. In terms of scoring, our odds compilers lean towards over 2.5 Total Match goals, pricing it up as 8/11 favourite, with the unders paying out at EVS. Manchester City XI: Bravo; Bolton; Laporte, Eric Garcia, Zinchenko; Douglas Luiz, Foden, Diaz; Mahrez, Sane, Nmecha. Chelsea XI: Cabellero; Zappacosta, Rudiger, David Luiz, Alonso; Jorginho Fabregas Barkley; Pedro, Morata, Hudson-Odoi. If there is a barometer of the regard in which the Community Shield is held in 2018 AD, then it is the fact that the International Champions Cup friendly tournament continues afterwards with Chelsea playing in it two days after their Wembley outing. 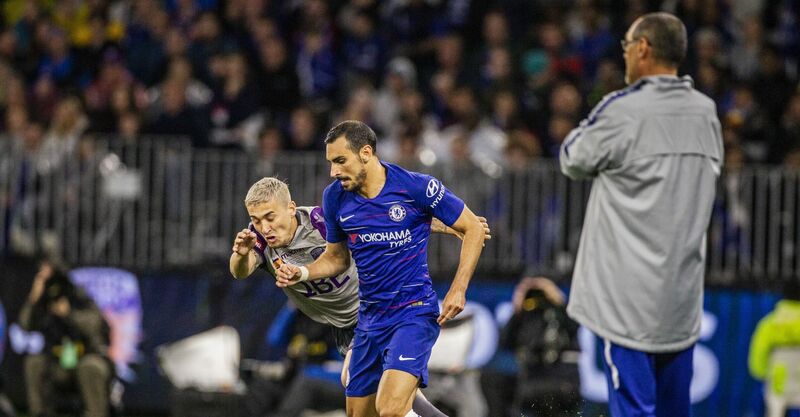 Despite such scheduling – from a betting point of view – the Stamford Bridge side is brimming with a squad full of players doubtless aiming to prove themselves important to a new manager, perhaps look the value pick in the Chelsea v Man City odds. 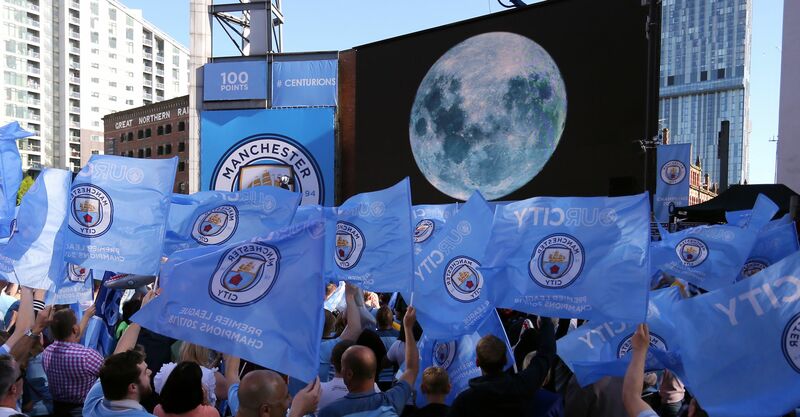 FA Cup holders have held the sign over their title toting foes in this contest of late, winning each of the last four renewals and the Blues only went down 1-0 home and away to the Citizens last term. Invigorated by the arrival of Sarri and his Napoli playmaker Jorginho, who seemingly chose Chelsea over a move to the Etihad earlier this summer, the Londoners can better that pair of 2017/18 results against the Manchester club. At odds of 13/8 our betting prediction of Chelsea, draw no bet, offers a way of backing the Blues’ likely greater motivation while offering a cushion against City’s obvious quality. 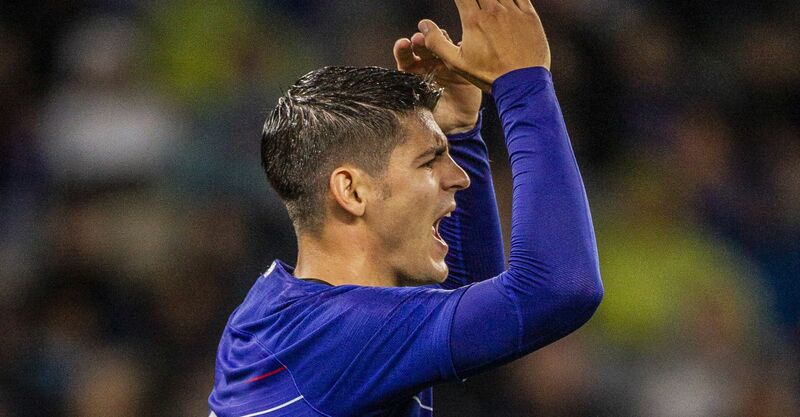 During his time at Napoli, the new Chelsea boss seemed to have a knack for getting the best out of his forwards and this could see a whole ‘nother level of Alvaro Morata during the course of 2018/19. The Spaniard’s Community Shield 2018 odds on anytime scorer, first goalscorer or to score last should be well worth a second look. In his first season under Sarri, Gonzalo Higuain doubled his league goals tally from the previous campaign, while the manager’s relocation of Dries Mertens to a more central role after Higuain’s departure was rewarded with a 28-strike Serie A campaign in 2016/17. Morata’s return of 11 league goals last term was his second best at top-flight level and under the new coach’s stewardship, he could become a Premier League top scorer contender this season at a nice price of 20/1. For City, the commanding performance Bernardo Silva put in during the 3-2 win over Bayern Munich in the International Champions Cup suggests post-World Cup cobwebs are an alien concept to the Portuguese star. He bagged a brace against the Bavarians and looks another whose anytime goalscorer odds will hold some appeal when they are released.